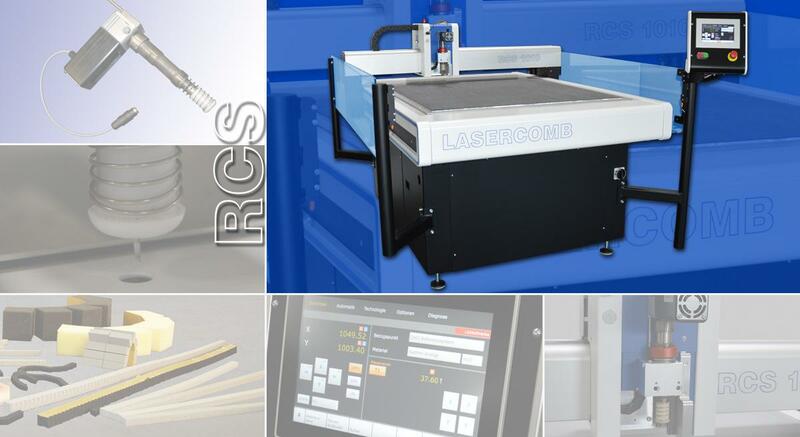 The RCS cutting system is specifically designed for the production of rubber linings for cutting dies. The typical working range of 1070 x 1070 mm for this application optimizes the space required. A powerful oscillating knife guarantees high productivity, long blade life and high-quality cutting results. A strictly structured user interface guides the user through the parameterization of the process data in a clear form. Easily understandable technology databases guarantee flexibility in configuration and speed in production. Two different touchscreen models are available as a medium with either a convenient 10" display or a 22" screen and increased computing power.